Children's clothing seller Gymboree Corp. is closing 350 stores as it works to restructure in bankruptcy. SAN FRANCISCO, California (KTRK) -- Children's clothing seller Gymboree Corp. is closing 350 stores as it works to restructure in bankruptcy. The closing sales at affected stores are scheduled to begin next Tuesday. "As part of our court-supervised restructuring process, the Gymboree Corporation is taking necessary steps to strengthen our Company as a whole by closing certain Gymboree and Crazy 8 brand stores. 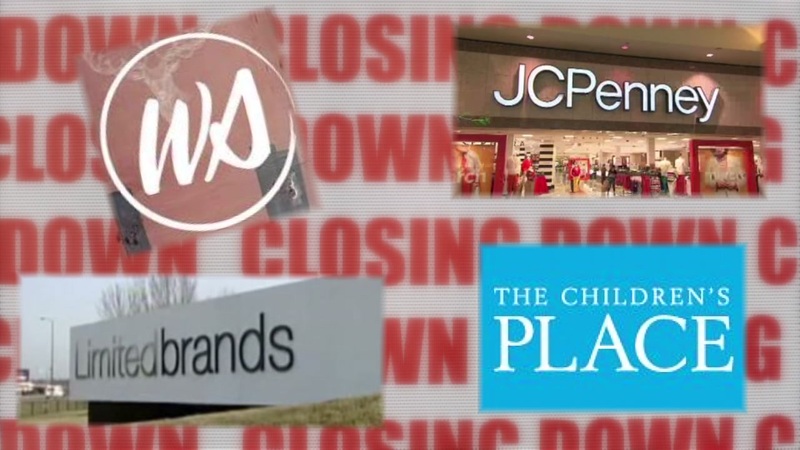 In the below search, customers are able to search by state to see which stores are closing. We encourage customers to visit www.gymboree.com and www.crazy8.com and use the store locator to find their next nearest store where they can continue to shop with us. We appreciate your ongoing business and look forward to continuing to meet your children's clothing needs for the summer, the important back-to-school season and beyond." It's tough times for retailers in the U.S.